Happy Female Athlete Jumping For Celebrating Exercising And Fitness.. Stock Photo, Picture And Royalty Free Image. Image 43152966. 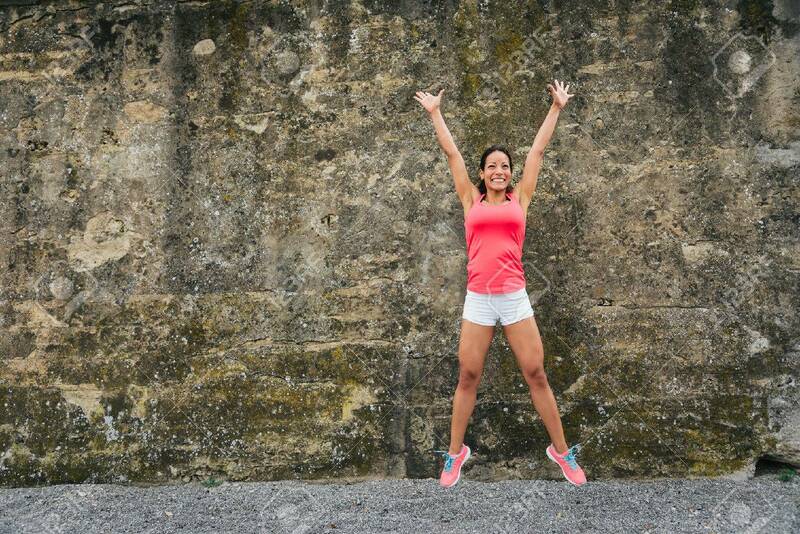 Stock Photo - Happy female athlete jumping for celebrating exercising and fitness success. Happy female athlete jumping for celebrating exercising and fitness success.